The way we produce and deliver electricity is changing. Distributed solar energy and other renewables are pushing changes to our electrical grids and the rules that manage them. Maryland’s Public Service Commission (PSC) has undertaken a proceeding, PC 44, which may significantly change the rules for how we generate and receive electricity. 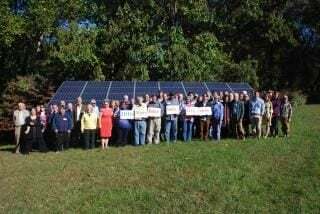 In January 2017, the Commission announced the formation of several working groups as part of the proceeding, as well as a study to assess the benefits and costs of distributed solar in Maryland. The working groups will provide commissioners with feedback on the key components of Maryland’s electricity sector that, according to the Commission, are “ripe for action in this proceeding”. Pilot projects, experimental electricity tariffs, and development of rules for these topics may be incorporated into the proceeding, as well. This is our opportunity to ensure Maryland’s community of solar supporters is represented. We are also working with MEDA (Marylanders for Energy Democracy and Affordability), a diverse network of public interest organizations and residents participating in the PC44 process with the goal of creating a fair, equitable, and democratic transition to a clean, reliable, and affordable energy economy. The PSC often uses stakeholder working groups to address technical and regulatory issues and provide recommendations. The Commission highly values any consensus positions reached by working group members. Commission staff members lead the groups and are responsible for reporting back to the Commission on what the working group discovered. Over the course of several months, the working groups will meet and examine issues related to the topic and the Commission’s directives for that topic (different types of rates, pilot programs, etc.). During working group discussions, participants will have opportunities to express their views and contribute to the topic at hand. For example, during a discussion about how the value of solar electricity should be compensated at different times of the day, a solar homeowner has a particular perspective to add to the conversation and may be invited to present original commentary. Working groups will likely be conducted through in-person and dial-in conference calls. In-person meetings will most likely be held in the downtown Baltimore offices of the PSC and should have an option for participants to dial-in and participate remotely. This group will discuss “Time of Use” (TOU) rates, or rates that vary according to when the customer consumes electricity. Of particular interest will be whether varying electric rates by time of use according to real-time fluctuations in the costs and benefits of distributed solar can serve to empower customers and provide clear market signals. Several of these working groups will consider possible pilot programs. One such pilot could be implementing TOU rates for customers with distributed solar. A pilot of TOU rates for solar customers may, for example, include a higher credit value for energy produced at when the grid needs it most and a lower credit value for when the grid needs it less. This group will discuss electric vehicle (EV) specific tariffs, TOU rates, infrastructure investment by utilities, partnerships for vehicle fleet electrification, and other measures to expand and support electric vehicle use in the state. This group will discuss developing statewide standards for smart meter data sharing and improving the competition, transparency, and customer-friendliness of retail choice. This group will discuss improvements to solar interconnection standards and procedures, the possible mandated use of smart inverters, expanded availability of hosting capacity maps for siting solar and other distributed energy resources, and cost allocation and system capacity issues regarding large and mid-size solar facilities. This group will discuss possible rules to define residential energy storage, its interconnection to the grid, and map out how it’s classified in rules, tariffs, and policies. It will also determine appropriate criteria for deciding whether utilities should invest in energy storage and how they should be compensated. This group will discuss the components of distribution planning, what areas the Commission should focus on, and whether it should authorize a study on key topics. Follow progress reports from network members by signing up for for the Maryland listserv. Marylanders for Energy Democracy & Affordability – MEDA is a coalition of energy affordability, clean energy, and energy democracy groups working to ensure that these principles are represented in the Maryland Grid of the Future proceeding. We are a founding member of MEDA. Shaping Maryland’s Grid of the Future – This report from Marylanders for Energy Democracy & Affordability outlines the goal of Maryland’s grid modernization proceeding and the principles for designing a grid of the future that works for everyone. Pepco’s Grid of the Future filing – The utility submitted this formal request to the Maryland Public Service Commission in June 2016. Pepco asks the PSC to launch a grid of the future proceeding in the state. In the filing request, Pepco lays out its specific content goals for the proceeding, including how to incorporate smart grid technology, renewable resources, and distributed generation into their grid. Announcement of working groups – This PSC document lays out the six working groups that will be convened during the proceeding and their respective content areas and timelines. Transforming Maryland’s Electric Grid – This page is the official PSC website for proceeding PC44. Benefits and Costs of Utility Scale and Behind the Meter Solar Resources in Maryland – Draft report from Daymark Energy Advisors on the value of Solar in Maryland. 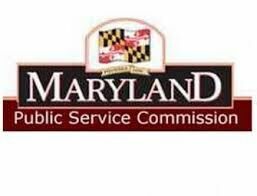 September 2016: The Maryland’s Public Service Commission (PSC) announces proceeding PC 44, a targeted review to ensure that electric distribution systems in Maryland are customer-centered, affordable, reliable and environmentally sustainable. October 2016: We began working with other groups to form the coalition of Marylanders for Energy Democracy & Affordability. Made up of energy affordability, clean energy, and energy democracy groups, we’re working to ensure that these principles are represented in the Maryland Grid of the Future proceeding. We’re conducting ongoing public education and outreach around the proceeding. January 2017: Commission announces the formation of several working groups as part of the proceeding, as well as a study to assess the benefits and costs of distributed solar to Maryland. Solar United Neighbors members are a part of these groups and working to ensure the process benefits all Marylanders. September 2017: Commission considers adding fees for Level 1 Interconnection applications needed by most solar homeowners. After receiving a petition from citizens organizing by Solar United Neighbors and hearing testimony from the solar industry and solar supporters the Commission votes not to enact the new fees.